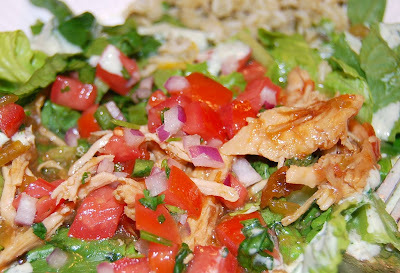 See Jane Blog: bajio chicken green chile salad! We'll have to try this one for a switch up... I have never tried Bajio's chicken! I sure hope I like it so we can still be friends. I will be trying this directly! Love that it can be made in the crockpot. Jane I miss working with you, you just crack me up. I just love this salad and I can't wait to try it! yummy! I think the kids and I might need to try this one tonight! still out of town, i will call when we get back.